Brown Butter Lemon Garlic Shrimp - easiest, amazing and flavor-packed recipe in 15 minutes. 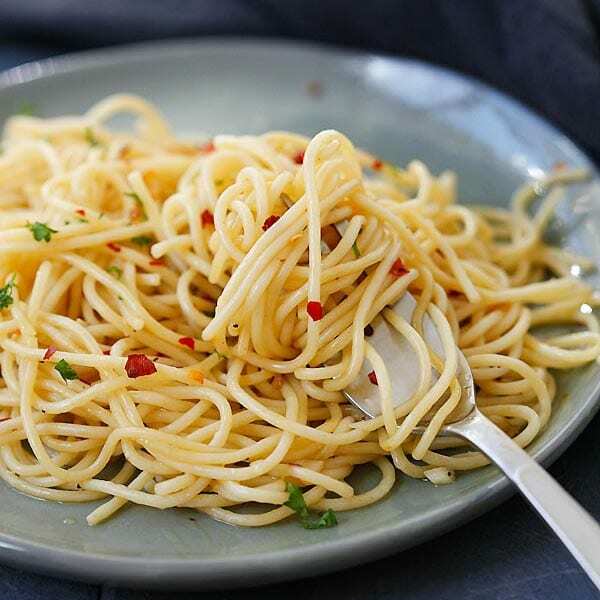 Garlicky, buttery, lemony goodness in each bite and the shrimp can be served with pasta, rice or salad! Shrimp, garlic, butter and lemon are my best friends. Really. 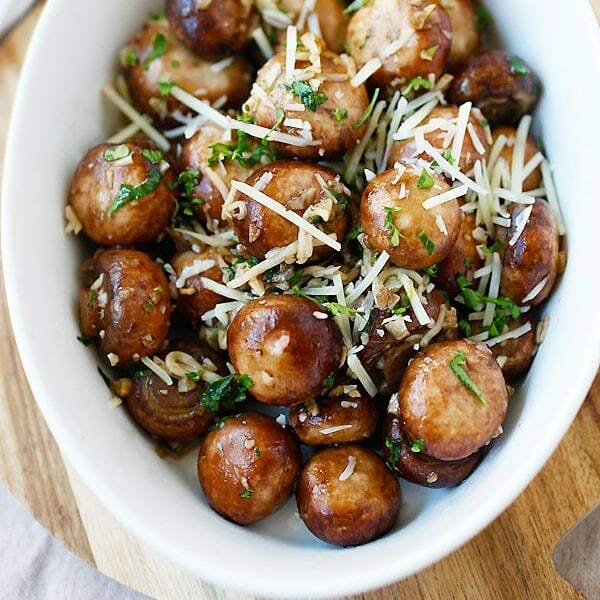 When you combine these magic ingredients together in a sizzling cast-iron skillet, you have the best flavor explosion in the mouth. What’s more, these shrimp can be served as is, as an appetizer, or with pasta, rice or salad. Lemon butter sauce is probably one of my favorite sauces for protein, especially on fresh and succulent shrimp. When you have great ingredients, a simple saute with lemon, butter and garlic are all you need. In this recipe, I turn the butter to brown butter and it instantly elevates this skillet shrimp to a completely new level of garlicky, lemony and buttery goodness. I always buy shelled and deveined shrimp (tail-on or tail-off) at Target. It’s in the frozen section and they sell for only $7.45 or $7.95 for a 1-lb bag. You can also use tiger prawn. 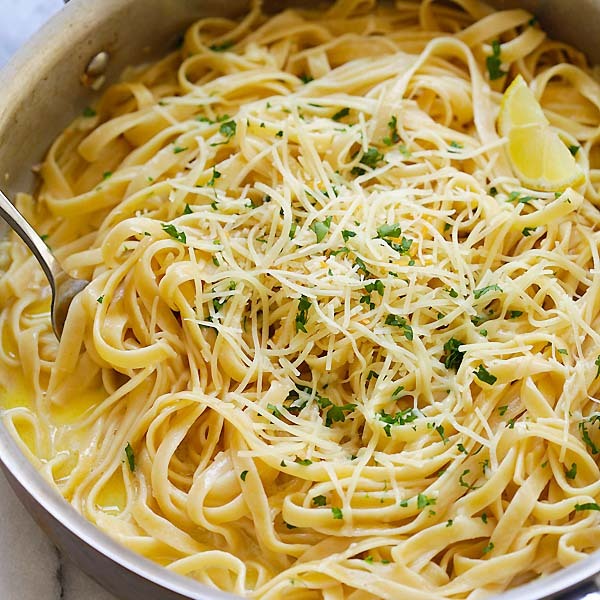 For the brown butter lemon sauce, always use unsalted butter, freshly squeezed lemon juice and use fresh garlic. For the white wine, any store-bought bottle would work. Why brown butter? Trust me, brown butter makes everything better as it has a richer, intense, nutty and toasty flavor. You get brown butter by heating up unsalted butter so they turn foamy and brown. Together with the garlic lemon sauce, you turn the shrimp into a gourmet dish. 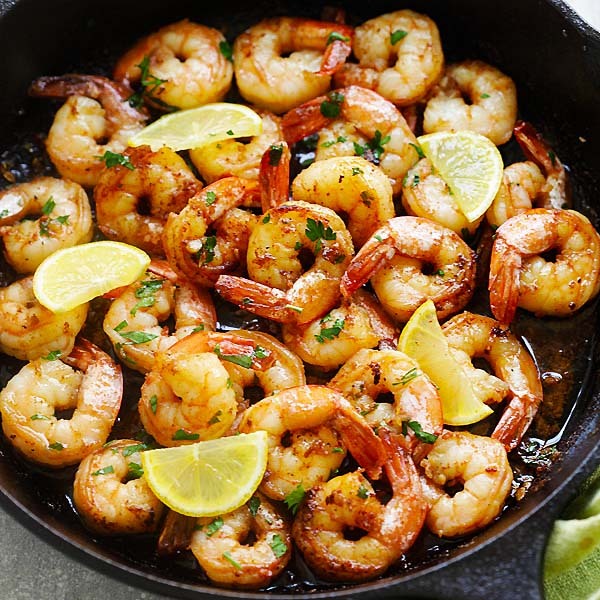 Brown Butter Lemon Garlic Shrimp - Garlicky, buttery, lemony goodness in each bite and the shrimp can be served with pasta, rice or salad. Rinse the shrimp with cold water. Drain and pat dry with paper towels. Set aside. Heat up a skillet, cast-iron preferred. Add the unsalted butter on medium heat. Melt and stir the butter until it starts to foam and the color turn brown. Add the garlic and saute for 10 seconds before adding the shrimp. Stir and toss the shrimp with a spatula until both sides are nicely cooked. Add the salt, cayenne pepper, white wine and lemon juice. Cook and reduce the sauce a little bit. Add the parsley and turn off the heat. Serve immediately. All photos and recipes on Rasa Malaysia are copyright protected. Please do not use the photos and recipes without prior written permission. If you wish to republish this recipe, please rewrite the recipe in your own words instead of copy and paste and link back to //rasamalaysia.com/brown-butter-lemon-garlic-shrimp/. Thank you very much! Love these recipes. Pure, simple ingredients. Awesome flavor, never any leftovers. Could I substitute the wine for something else because I don’t like wine? Hello. Do I need to defrost the shrimp first before cooking? Brown butter is such a magical ingredient — these sound amazing! And just a skillet, even better!